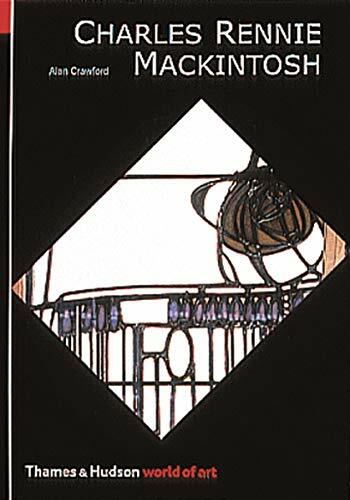 An illustrated study of the work of Charles Rennie Mackintosh. It features buildings, such as the Glasgow School of Art, as well as his interiors, such as the Willow Tea Rooms, many of which were designed in collaboration with his wife, Margaret Macdonald. Charles Rennie Mackintosh's finest work dates from about a dozen intensely creative years around 1900. His buildings in Glasgow, and especially his craggy masterpiece the Glasgow School of Art, are more complex and playful than any other work in Britain at that time. His interiors, many of them designed in collaboration with his wife, Margaret Macdonald, are both spare and sensuous; a world of heightened aesthetic sensibility inside the Willow Tea Rooms or The Hill House. And his inventive imagination, which played constantly with the shape of curves and squares, produced designs for furniture which transformed ordinary chairs into pieces of abstract sculpture. Finally, in the 1920s he painted a series of watercolours which are as original as anything he had done before. Since his death, Mackintosh has been both lauded as a pioneer of the Modern Movement and as a master of Art Nouveau.